Having your car break down on a lonely road during a long trip is high on most people’s list of things to avoid—but it happens. If you’re stranded without sustenance and shelter and your phone is about to die, panic can quickly take over. It gets even worse if you’re passing through grizzly bear country with tired kids during a freak summer blizzard and a nearby prison outbreak. 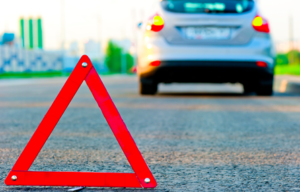 So having a well-stocked emergency kit for your car can give you the peace of mind and tools you’ll need to keep your stranded experience from becoming an unfortunate news item.